The K1 Basic Wheelchair is a bestselling wheelchair by Medline, providing quality at an affordable price. Perfect for short term use, this comfortable wheelchair has an appealing gray powder coat finish and is easy to use - even for first-timers. The chair is made with TIG welding for a stronger, higher quality weld as well as heavy duty materials, resulting in a solid and sturdy chair with a weight capacity of 300 pounds. 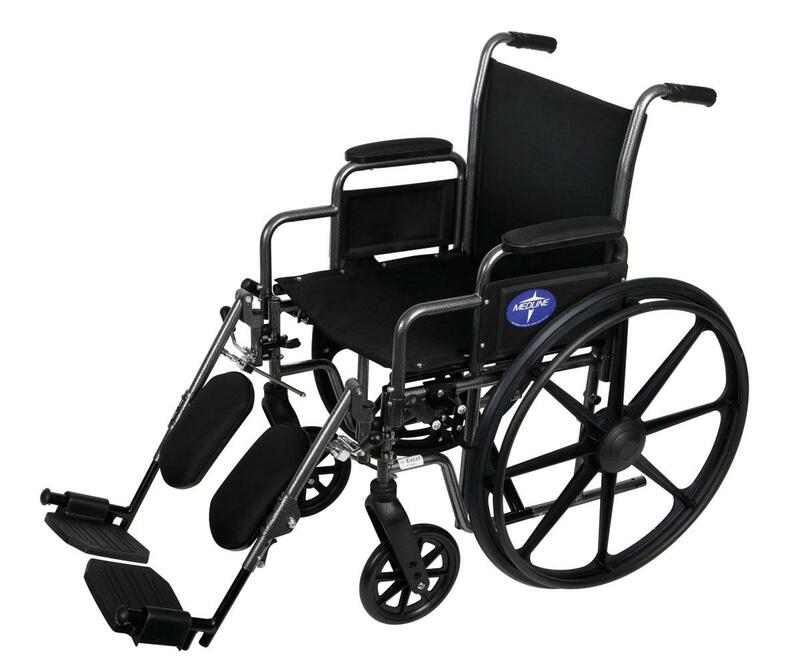 Engineered to get around corners easily, this manual wheelchair is lightweight and folds quickly for transporting. This popular product qualifies for free shipping and is available with removable armrests and elevating leg rests for your comfort and convenience. Buy the K1 today - you'll be glad you did.